This group of islands, with a preferred climate and constant temperature through all the year, and splendid beaches of fine sand, consists of 7 larger islands (Gran Canaria, Fuerteventura, Lanzarote, Tenerife, La Palma, Gomera, Hierro) and a few smaller ones (Alegranza, Graciosa, Montaña Clara, Roque del Este, Roque del Oeste und Lobos). Surprisingly, the landscape of each island is very different from the others. Ancient Greeks and Romans reported on these islands of volcanic origins, and called them the Happy Islands, Garden of the Hesperides, and Atlantida. Some historians supposed that the legendary continent Atlantis was located here. A short period of time after the Canary Islands became part of the Spanish Kingdom the ships of Christopher Columbus stopped here on their travel to discover the New World in 1492. Columbus stopped at Gran Canaria and La Gomera. Columbus used food and water from the Canary Islands to supply his three ships, the Pinta, the Niña and the Santa María on their long voyage across the Atlantic Ocean. Africa. The eastern most island, Lanzarote is located about 70 miles from coast of Africa. The islands, stretch out into the Atlantic Ocean with the western most island, Hierro being about 300 miles away. The largest island in size is Tenerife which is 786 square miles. It also has the most people, 665,000. The smallest island is El Hiero which is 104 square miles. It also has the least amount of people, 8,300. 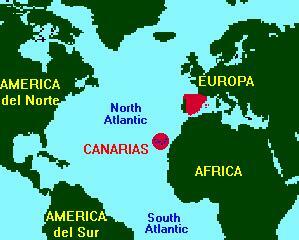 The total population of the Canary Islands is 1,600,000 and the total size is 2,875 square miles. As a comparison the State of Connecticut is 5,009 square miles with a population of 3,400,000. The Canary Islands are located at about the same latitude as Orlando, Florida and San Antonio Texas. But because they are islands and those cities are located inland, the actual climate is different. Being on the same latitude as another place on the globe does not mean that the temperature or climate will be the same. When the Pilgrims set sail from England they headed south thinking that they were going to a warmer climate. They were very surprised that the winters in New England, which is south of England were much colder. Latitude are the north-south lines on a globe, Longitude are the east-west lines on the globe. You can use latitude and longitude to locate a place on the globe. The location of Gran Canaria is 28 North 06 - 15 West 24. The location of Hartford, Connecticut is 41 North 43 - 73 West 39. The Canary Islands have two capitals, Santa Cruz de Tenerife and Las Palmas de Gran Canaria. The President of the Canaries must alternate his official seat between the Cities each four years. canaries. But actually the canary bird received is named after the people the Canarii. All breeds of canary birds descend from the canary birds thatstill exist on the island. So why are there two dogs and not two canaries? When the Romans came to the Canary Islands they encounted not only fierce natives, but also their dogs. The latin word for dog is "canis" and the actually named one of the islands "canaria" because of these dogs. Because the people are proud of these dogs they included them in their symbol. Today we still use the word "canine" as a general term for a dog. 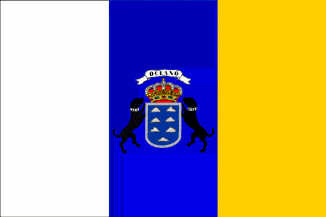 guanche originally was used only by the natives of Tenerife. The native inhabitants of the other islands refered to themselves by different names. Today the general name for all native people of the Canary is Guanches. Much like the Egyptian people the Guanches had mummys. 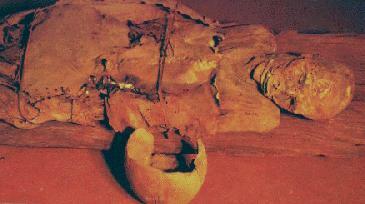 In fact some of the earliest pyramids have been found to exist in the Canary Islands. Although descendents of the Guanches exists today much of their culture has become forgotten. 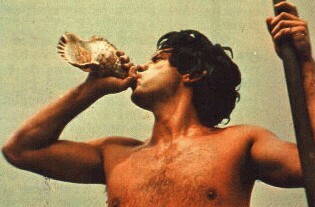 However two things have become part of the Canary Islands culture. One is a dance called the "Tajaraste". The other is a unique form of wrestling which is known as Canarian Wrestling (lucha canaria). The opponents stand in a special area called a "terrero" and try to throw each other to the ground using strength and quick movements. There are two other unique Canary Islands sports. 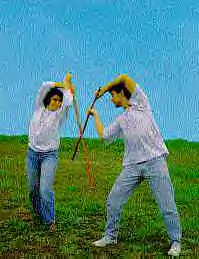 One is the "game of the sticks" where opponents fence with long sticks. 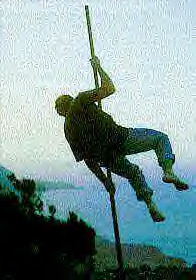 These sport may have come about from the shepards of the islands who would challenge each other using their long walking sticks. The other sport is called the Shepard's jump. This involves using a long stick to vault over an open area. This sport possible evolved from the shepard's need to occassionally get over an open area in the hills as they were tending their sheep. 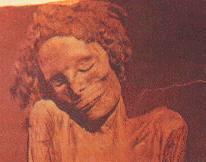 Like the Egyptians the Guanches on the island of Tenerife had mummys. They did this for very important chiefs and other people. This allowed them to have a very long mourning period and to prepare the person for the afterlife. Sometimes they did not make a person into a mummy. Instead they would remove the heart from the dead person and place it in a basket. A person would then volunteer to be a messenger. He would be told of the all the news of the village. He would then jump off a cliff to his death carrying the basket. It was his job to tell the people who had died before the news of the village and that a chief or important person was coming to live with them. They also had pyramids on the island of Tenerife. They do not look like the pyramids in Egypt, but more like the pyramids found in Mexico and South America. This might mean the Guanches originally came not from Africa or Europe, but rather all the way from Mexico or South America. The island of La Palma contains the volcano Teneguía. On October 21, 1971 the volcano began to cause earthquakes on La Palma. On October 26th the volcano exploded! For the next weeks until November 21st the volcano sent lava into the sea and ash into the sky. 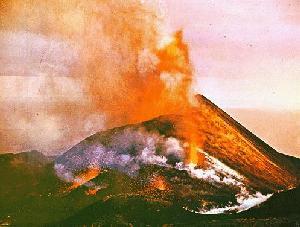 Fortunately the damage was not extensive and volcano has been quiet since then.